Fill out a detail or two, trim to fit your wish and click send! Pick your Email Template, then get its HTML code and paste it into the code editor of your email platform. Converse the answers of your surveys. Say goodbye to monotonous form-filling. Chat away! Automate your surveys which is to be sent out periodically. Configure once and SurveySparrow will take it from there. Take your surveys anywhere, anytime. A subway, Cab or at the desktop in your office. Appealing Surveys with wide spectrum of questions types. No more of questions which will limit your opinions. Combine all the features and you have yourself a survey that can fetch you astounding completion rates. A pleasant change from the usual unresponsive survey routine. Let’s talk about making your website top-notch! And your visitors will leave your website mighty impressed. 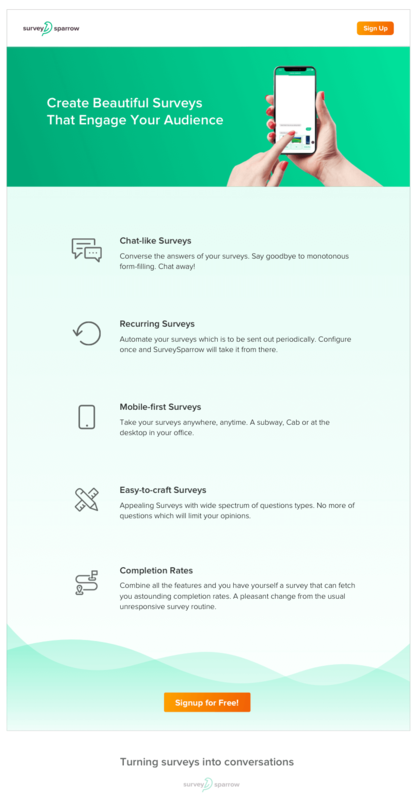 For this, SurveySparrow offers a really cool feature called Embedded Surveys. These surveys are integrated into your website and gently pop-up asking for a feedback. And.. you don’t need to depend on a Programmer to do this! The whole survey is designed in a chat-like environment, ensuring high responses. Get a feel of their survey experience with a click on the below link. Get a feel of their survey experience with a click in the below link. I have some pretty cool stuff I want to share with you. It’s crucial to gain some feedback from patients who come to your hospital/clinic isn’t it? Contains relevant questions to extract the right info from your patients. And the entire survey is set-up like a chat, guaranteeing more responses. So it would come as no surprise that a sign-up with this tool would find a place in your Wise-Investment column. Check out the survey template to have a feel of the survey experience the product/software offers. Feel free to alter the questions or make a new survey itself! And the entire survey is set-up like a chat guaranteeing more responses. Here’s something to grab more leads right way!! Say no to the traditional, boring lead generation forms. 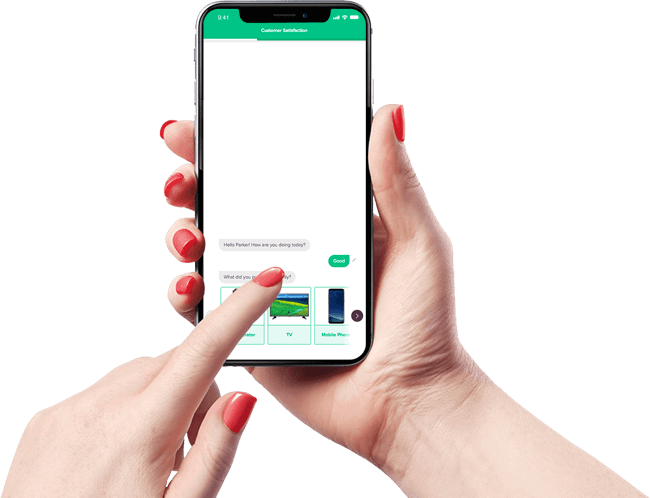 SurveySparrow offers a fresh and innovative chat-like experience! This can tremendously boost the response rates. This means more number of leads! Attract more leads and add your prospective clients into your loyal user base. The link below will take you to have a feel of the survey experience offered! Employee satisfaction surveys may not necessarily provide the most honest feedback of your organisation. But, you can get the actual picture from an employee who’s leaving your organisation. Identify the areas which need improvement. Create a better working environment for your current employees. Managing the periodic Employee Surveys is task by itself. But we can tell you a way to make this task simple and time-saving! SurveySparrow can help you with this entire process. All you need to do is set up the survey once. Send it out to your desired audience all at one go. If you wish to resend the surveys periodically, you can automate the surveys! Not just that, you can send reminder emails to complete the surveys. You can do this and much more with SurveySparrow. The surveys have a chat-like interface inviting more responses! To get a feel about the survey experience they offer, click the link below.